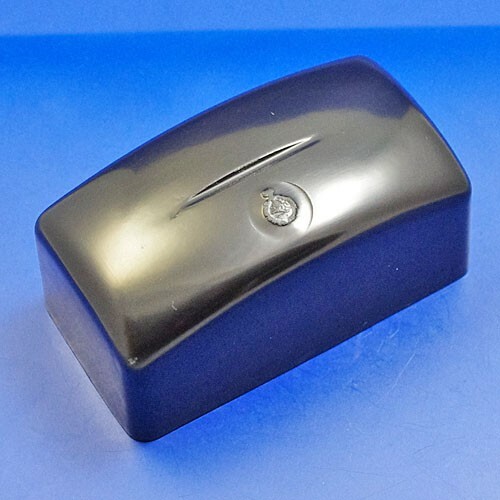 new remanufactured as LUCAS CJR3 black cutout box lid, made from fine gel GRP, very good reproduction and indistinguishable from originals when fitted, dimensions:- base 104mm x 55mm and 54mm tall. note the long slot along one bottom edge. 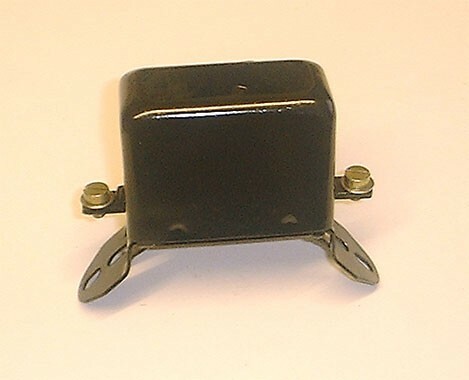 rebuilt 6 volt cut-out unit, two terminals one each end of the unit, two bolt fixing on the base with holes centres between 46mm to 50mm, exchange item. 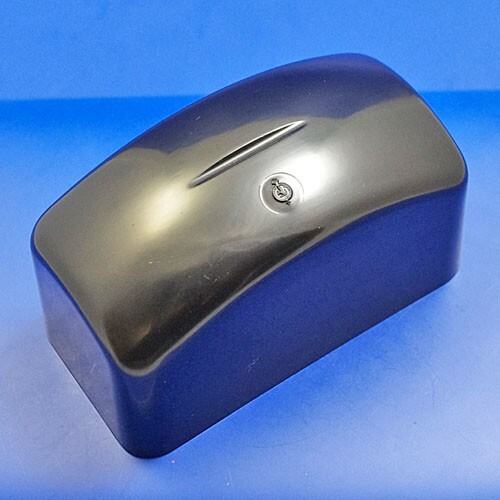 dimensions 62mm x 30mm & 52mm tall, matt black finish. 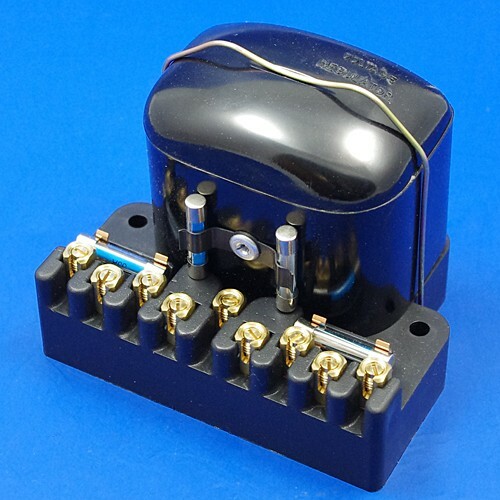 Lucas RB340 type, three bobbin, 22 amp. 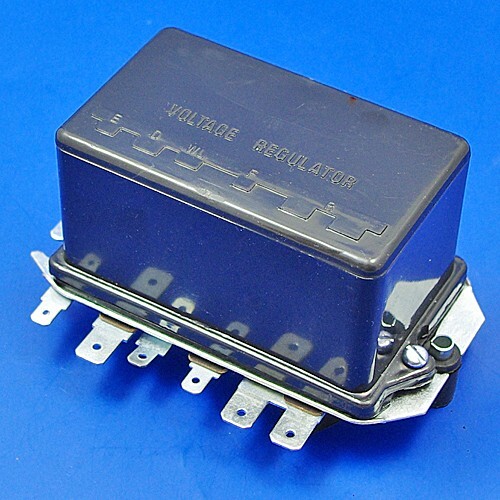 6 volt reproduction unit, base 115mm x 87mm x approx 95mm overall height. 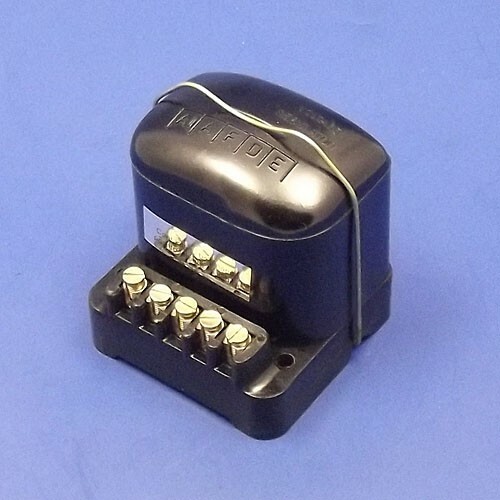 9 screw terminals. 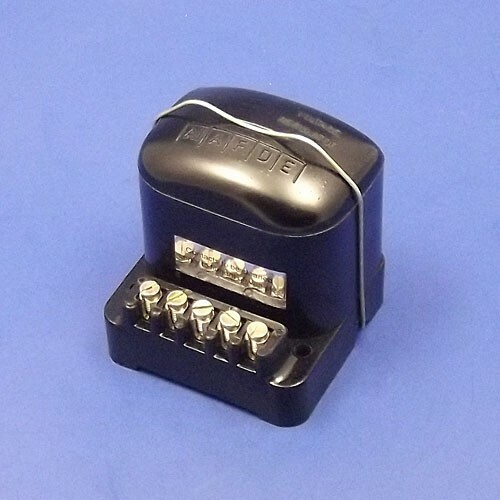 12 volt reproduction unit, base 115mm x 87mm x approx 95mm overall height. 9 screw terminals. 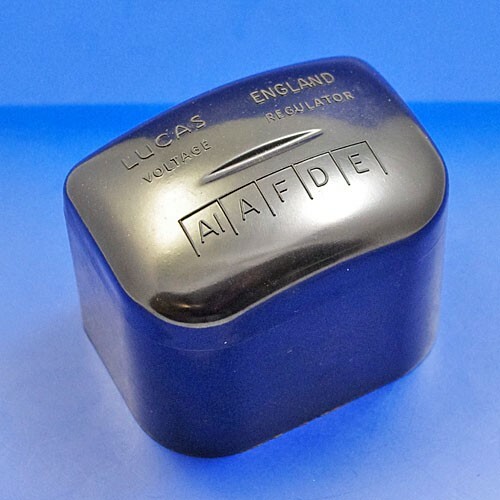 new old stock genuine Lucas RF96 regulator lid, marked LUCAS ENGLAND, VOLTAGE REGULATOR, with terminal lettering A1, A, F, D, E. dimensions:- 83mm x 58mm and 72mm tall. 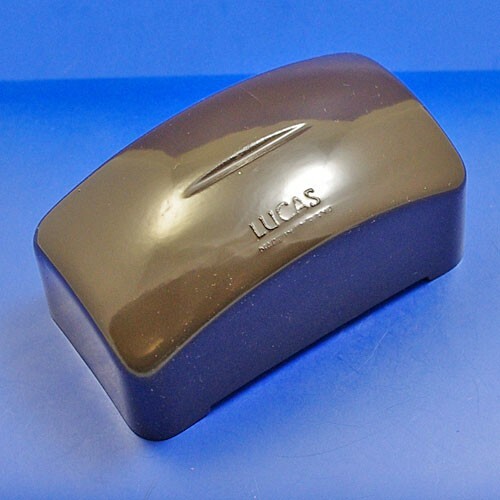 new remanufactured as LUCAS CFR2 brown cutout box lid, made from fine gel GRP, very good reproduction and indistinguishable from originals when fitted, dimensions:- base 82mm x 45mm and 42mm tall. new remanufactured as LUCAS CFR2 black cutout box lid, made from fine gel GRP, very good reproduction and indistinguishable from originals when fitted, dimensions:- base 82mm x 45mm and 42mm tall. new remanufactured as LUCAS CJR3 brown cutout box lid, made from fine gel GRP, very good reproduction and indistinguishable from originals when fitted, dimensions:- base 104mm x 55mm and 54mm tall. note the long slot along one bottom edge. 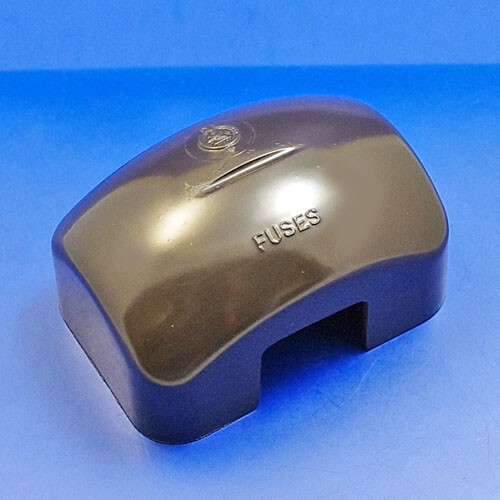 new remanufactured as LUCAS RJF91/92-CJR3 brown fuse box lid, made from fine gel GRP, very good reproduction and indistinguishable from originals when fitted, dimensions:- base 105mm x 82mm and 40mm tall. 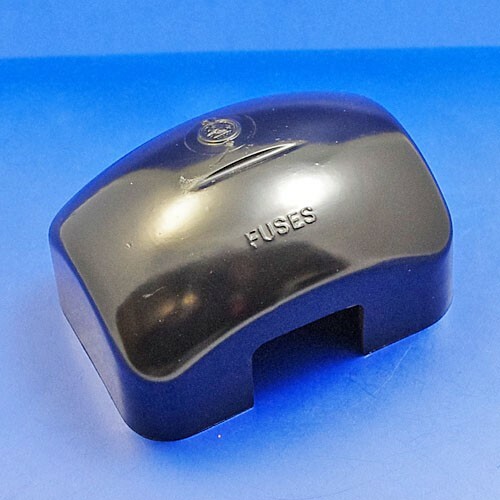 new remanufactured as LUCAS RJF91/92-CJR3 black fuse box lid, made from fine gel GRP, very good reproduction and indistinguishable from originals when fitted, dimensions:- base 105mm x 82mm and 40mm tall. new remanufactured as LUCAS CJF/CRF3 brown regulator/cutout box lid, made from fine gel GRP, very good reproduction and indistinguishable from originals when fitted, dimensions:- base 104mm x 56mm and 64mm tall. 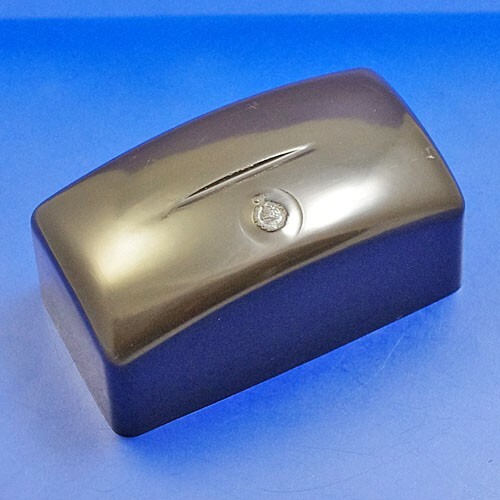 note long slot to one bottom edge. 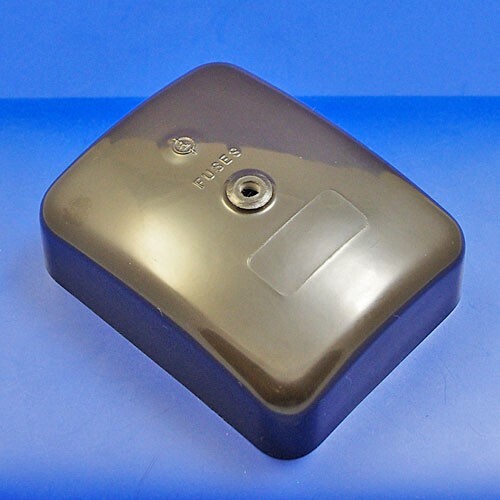 new remanufactured as LUCAS CFR brown fuse box lid, made from fine gel GRP, very good reproduction and indistinguishable from originals when fitted, dimensions:- base 77mm x 52mm and 42mm tall. 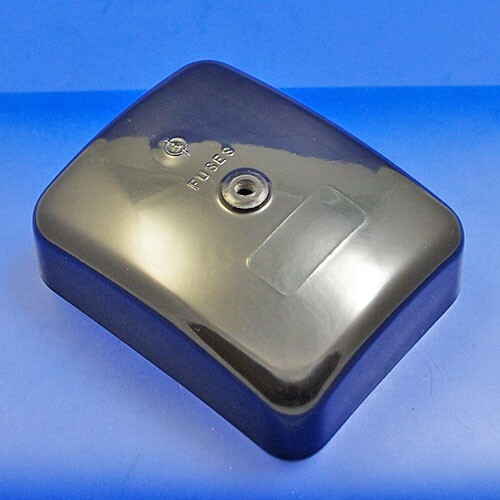 new remanufactured as LUCAS CFR black fuse box lid, made from fine gel GRP, very good reproduction and indistinguishable from originals when fitted, dimensions:- base 77mm x 52mm and 42mm tall. 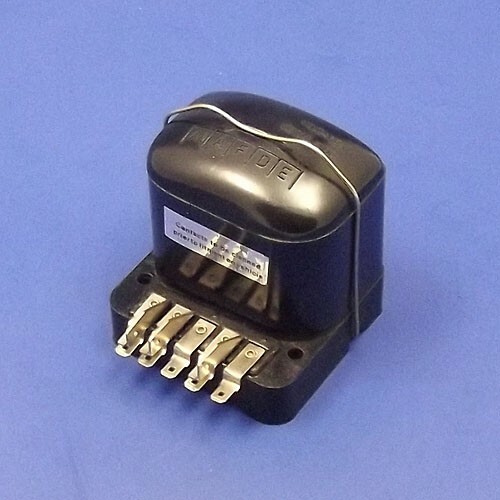 12 volt unit, 5 screw terminals. size approx 85mm x 80mm x 95mm tall. 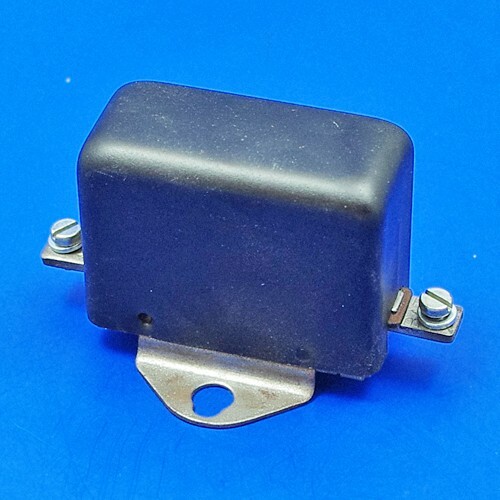 6 volt new unused old stock item, note that is is an exchange item.